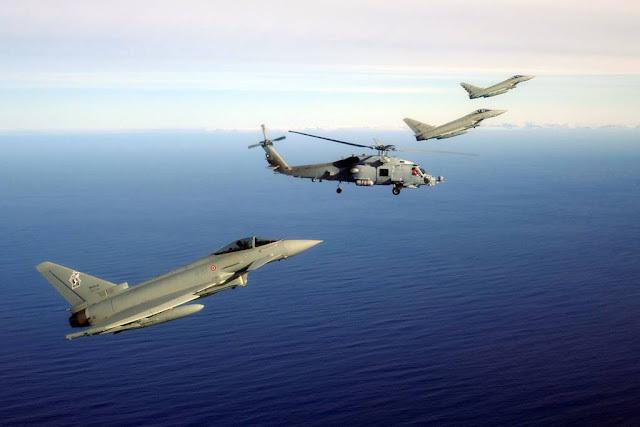 Italian Eurofighters return from Iceland completing four-week NATO deployment. 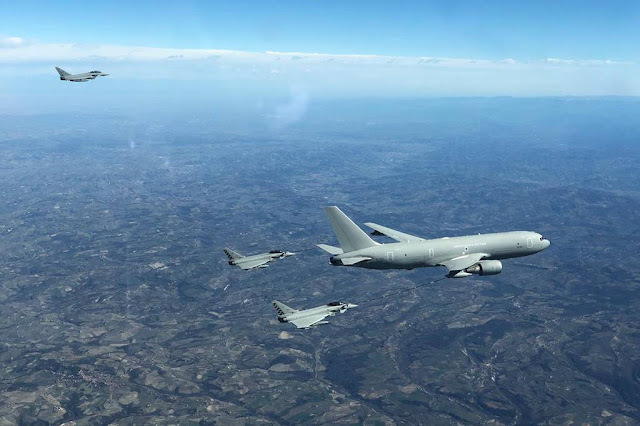 On 11 April the Italian Air Force Eurofighter detachment redeployed to their Italian home bases after successfully accomplishing their four-week mission providing Allied interceptors to safeguard the Icelandic airspace. 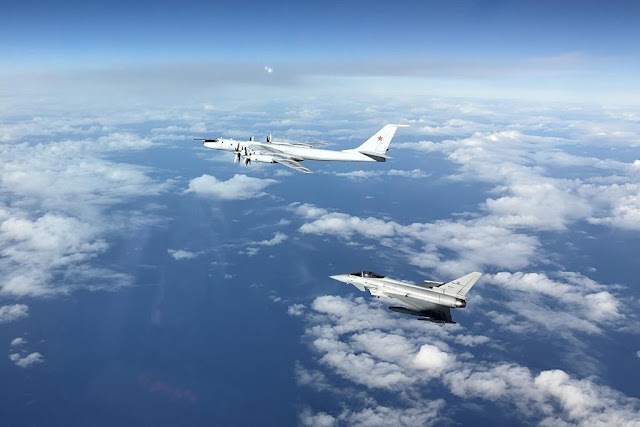 On 18 and 28 March the Italian Eurofighters were launched by the CAOC to intercept Russian Federation Air Force Tu-142 aircraft showcasing Allied cooperation and functioning under NATO’s Air Policing arrangements. On 26 March, the detachment’s force protection team conducted an interoperability exercise with the Icelandic Coast Guard helicopter during fast-roping training. On the same day, the helicopter simulated the slow-moving target for Italian Eurofighter pilots in a training intercept scenario. In early April the detachment worked with Her Danish Majesty’s Ship "HVIDBJØRNEN", a THETIS-class Arctic Patrol Frigate and the on-board MH-60R SEA HAWK helicopters. The training included another slow-mover intercept scenario which represents a challenge for fast jet pilots when it comes to identifying and escorting the helicopters. "As a commander, I couldn’t be prouder of the objectives that my detachment achieved here in Icleand,” added Colonel Porelli. "Successful execution of our NATO task has been the result of constant teamwork, commitment and professionalism. Everybody was essential in getting the mission accomplished." The peacetime NATO operation in Iceland has been conducted since 2008. The Italian detachment was the first one in 2019. Two more Allies will deploy their fighter aircraft to ensure Iceland is prepared and integrated in peacetime NATO’s Air Policing arrangements.